The switch is designed specially to be used for remote (over the Internet ) controlled systems, but can of course be used in other applications also. The switch can be manually controlled via an internal web interface. 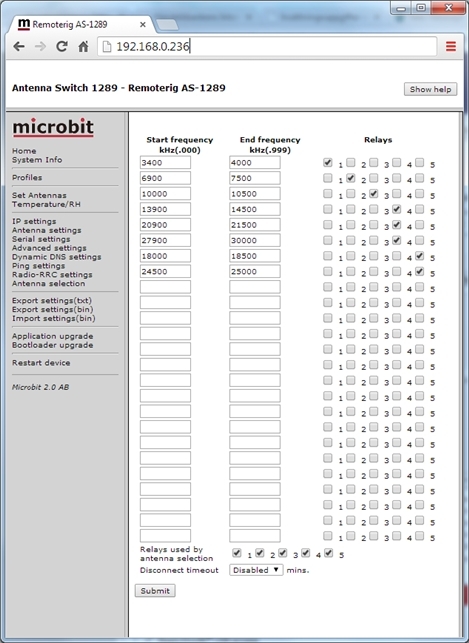 Together with Remoterig RRC-1258 it can be setup to automatically follow your band changes (*). The switch connects to the RRC over IP, no serial port is needed. It is powered with 12V DC. It is made for indoor use and can be wall mounted or placed on a desk/shelf. The switch is equiped with PTFE dielectric SO-239. The new 5-way AS-1289 has the same functionality as the 10-way AS-1269 but it’s made for indoor use and has no PoE support. 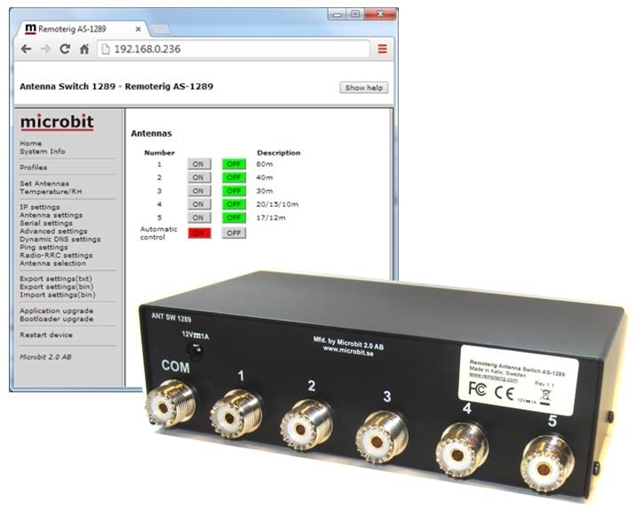 (*) with an optional RS232 Interface the AS-1289 can be controlled direct by a Radio if no Remoterig system are available.